OOC: Simply starting out with Zelda so that she can introduce to the crowd, which I will then post with Galadhion. Afterwards, he will be leaving this thread for a little bit, to move the dance along between Link and Zelda. She had never been this nervous in her life. Standing in front of the mirror, wearing her mother's dress for an event she never imagined she'd live to see - or even be apart of, for that matter. The dress was long, gliding across the floors, draping over her body with satin and silk. Pure white with shimmering gold accents, it was that of a dress to represent the sacrifice the Goddess made when she became human. She left her long, blonde hair down, braided to a point near the end, and flowing. Taking once last look in the mirror, she took a deep breath before turning to face the large double doors that lead to the remainder of the castle. This would be a long night. As she walked, she thought about how many things were going to be changing. With the reveal of Link as the hero, it would give the people the hope they've desperately needed as the times got darker. Stopping herself from entering the banquet hall, she collected her composure to think of what she would say. Hundreds were waiting to hear her speak. She could hear a faint voice in there, speaking as they thanked all for arrival, and that the princess would arrive shortly. She knew it was time. As she nodded to the guards, they quickly grabbed a door handle in unison and began pulling it back slowly, the loud creak of the gigantic doors echoing and creating a silence among the people as they turned to face her, immediately standing with their respects. She approached the podium slowly, King Galadhion standing some feet behind her as he smiled reassuringly. It was strange to see him in such a light hearted mood. "Thank you all for coming," Zelda smiled faintly. "As many of you may be aware, darker times are coming. For some, it appears they've already predicted it, and while many may think them to be crazy... know that I am here to ease your troubles. I promise to stand against any dangers that walk among us... and so does our hero." The crowd clapped for a moment as she pursed her lip, taking a deep breath. "Being here tonight is not only for him, but also for everyone who has joined us. I see faces from all over the Isle. And despite our cultures being different; despite how little the stories of the hero may effect the lives of the other kingdoms... you have all still come to pay respects, which I could not be more thankful for." "There will be a table for the rest of the night on the western wall of the ballroom with several knights who will be accepting any and all who wish to enlist into our militia. After the death of my father, I know he would have wanted this. Our kingdom will rise over any obstacles as our hero guides us to victory. We couldn't do this without you," she raised her hands toward the audience. 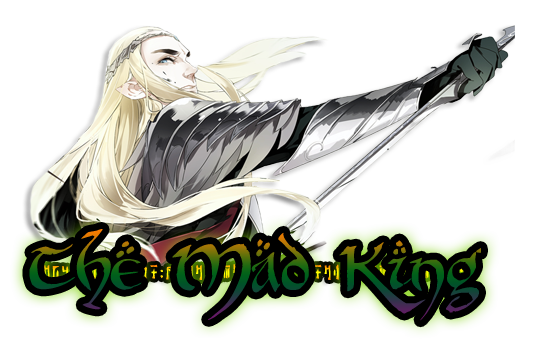 "King Galadhion in all his grace, ruler of Labrynna and friend of my late father now wishes to make a speech. Afterwards, the ceremony will commence." 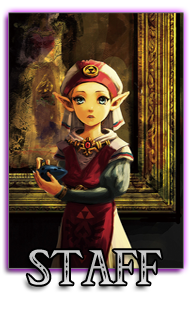 With the roar of the applause, Zelda stepped down from the podium and looked to Galadhion with a nod before standing to the side. He would be the one to introduce Link, as the music would start and the two would dance. The crowd had been talking very mum as they awaited the princess's arrival. Galadhion had taken a seat at the throne as he was told to do by the princess until it was time for the ceremony. Being King Daphnes's close friend, Zelda had insisted he take the part of the King watching over the ballad of the Goddess and Hero. When Zelda had finally arrived, everyone had shot up from their seats, Galadhion included as he gave a faint smile to the princess. She looked as stunning as she always did, taking on her mothers beautiful dress. She truly looked as stunning as her mother once did, now that she had aged. While it was true that Galadhion had his own intentions for the marriage alliance... he did care for his late friend, and felt that Zelda deserved a life of security. He would have been honored to have her as a daughter in law, especially with how he knew his son felt about her. When she approached the podium, he flashed a smile of assurance as she began to speak to the people within the hall. He listened closely to what she had to say and nodded in agreement when appropriate. And as her speech had came to a close, he had handed the attention over to him. He had slowly risen from the throne and stepped up as he looked among all of the diverse people of the isle. "Ladies and gentlemen," he started out, a soft gaze upon his face. "I am truly honored to be able to witness such a historical event with my very own eyes. On the day that Zelda was born, I remember the smile on her mother's face as she looked down upon the child. She was always a quiet one, very graceful and kind. And she looked back up at me, and said these very words to me. 'She is going to change the world.'" he smiled as he gestured to the princess. "I didn't know it then, but now I can see why. Our young princess is the very goddess who blessed this land and protected our people for thousands of years. My dear friend, King Daphnes would have been so proud to see her now." he nodded. "It gives me great honor to be able to initiate this ceremony in his place. My good people, may I introduce to you our hero, named for his past selves as it should be, Sir Link!" he looked over to the doors that were slowly opening. Zelda had positioned herself in the center of room where she would wait for Link to approach her. As the doors opened to reveal Link to the crowd, he had then moved to go sit at the table among the other royals as the the ballad of the goddess began to play from the musicians and choir. It was finally time, the time for the ceremony that would reveal to the world that he was the hero. Though he was a bit nervous for this ceremony, he was truly prepared for the ceremony. Link had been mentally preparing for this event and he knew he could not just lose his cool at this point. After this event he will be carrying of the hopes of numerous people and he could not let them down. Sitting on the guest room bed he was given for the event, Link calmly glanced down at his glove covered hands and clenched them tightly, listening to the sound of the leather being bent. Letting out a deep sigh Link look up ahead and stared over at his reflection in the mirror ahead of him before he stood up. The outfit he wore was the very green tunic that his past selves wore. Looking at himself wearing such an outfit truly had a nostalgic feeling to it. For Link this was the first time ever wearing such an outfit and it felt like a heavy burden was placed in each stitch of the outfit. Though in the past such an outfit was never something that could be considered special, with the raise of heroic feats the hero had performed in the past, this outfit had become a symbol to the people. Though this outfit was good enough for this ceremony, Link was also given a red cape that would be held down by a golden shoulder pad on his left shoulder. “It’s time…” Link said calmly as he began to walk towards the door taking grasp of his green hat and placed it on top of his head. Link walked down the halls of the castle, making his way down towards the ballroom. He continued his trek until he finally came to some closed doors and waited for them to open up. He was told that he was to wait until he was cued in and though he found that a bit pointless, he followed the order without objection. He closed his eyes and listened to both Zelda and then King Galadhion speak on about the ceremony and once the doors slowly began to open Link opened his eyes and began to walk forward. His face was calm, letting nothing affect him as he walked on. His face was directed forward toward his destination ahead, but his eyes glanced around slowly at the people around. He noticed the numerous people in the crowd but at the same time he noticed a few familiar faces. He took notice of both Saria and Ayrll. Taking notice of Aryll he truly felt guilt about keeping all of it a secret, but he only did so to protect her, nothing more. In addition to this among the crowd he also noticed another familiar face, the young king he had met in Holodrum. The look on Asthar’s was one of surprise, but it was very mild one as that hardly look like he was that surprised. The young king merely closed his eyes and gave Link an all too familiar smile. Once again Link set his gaze forward as he stared at the princess in front of him and came to a halt the moment he finally stood before her. He stared down at her with his calm gaze, but then his gaze softened as he smiled softly down at her and raised his hand for her to grab. She had never seen Link wear the green garbs before, and honestly it felt... almost nostalgic. She couldn't really place her finger on why or what lead her to feel this, but she tried not to question it too much. All she knew was that the moment their gazes met and their hands had touched, she felt like she was in another world. The music was playing and their bodies seemed to move so gracefully across the dance floor. "King Galadhion is playing nice today..." she murmured just loud enough for Link to hear. "I wasn't really expecting him to cooperate..." she looked to the side as she continued to dance with him. "This is a lot more nerve wrecking with hundreds of people watching, too... why did I have to make such a big deal out of this ceremony?" Link calmly held her hand and used the other to hold her waist as the two began to move to the music. Link had gone through training numerous times in preparation for this event and though he was immensely lousy the first time he had tried, he had now become quite good in his opinion. He closed his eyes and listened to the music, allowing his body to move gracefully with the music along with move synchronized with Zelda’s movements as well. As he danced to the music he listened to Zelda speak to him and calmly he opened his eyes and looked over at her face, his calm smile not changing at all. “Do not mind them, focus your attention on us. This is our moment, a moment that the people of Hyrule and the other lands have given us…let us enjoy it” Link said softly. He did have to agree with Zelda as he felt Galadhion being so welcoming was so odd, especially after all he had heard, but he knew that Zelda would take much stress if she were to think about the king. Though he said not to pay mind to him, Link was still on guard, ready to react to whatever would come. Listening to Link's words, Zelda agreed, closing her eyes as she moved along with the music. Link had really gotten quite well at dancing. He moved like a real prince, which was impressive to her. Not many really took the idea of a dance seriously, but he seemed to put his entire heart into it. Things would be so much easier if he was a prince, she groaned internally. Maybe then there'd be a lot more to consider in her refusal to marry Percy. Galadhion would have to understand. She opened her eyes again, twirling around with the hero as she was dipped down and brought back up, her gaze watching his as their faces were only a breath away. She looked away quickly, blushing heavily as she cleared her throat nervously, looking up to see a not so pleased King. He had to of known. She sighed, getting a bit annoyed at the thought. He was so intense and demanding, and suddenly... she felt like a child again dealing with a bossy guard again. Like the troublemaker she used to be - doing everything to push the guards buttons. She smiled lightly. "After the dance," she murmured into his ear as the two continued to sway. "After the feast starts and everyone is distracted, I want to show you something, okay?" she asked very softly and innocently, eyeing Galadhion every so often. Link’s moves were graceful and calm. The young hylian moved with his mind clear of doubt and moved both to music and to what his body naturally told him to do. He needed to focus with his mind clear otherwise the poor boy might screw up the dance. He knew that an unavoidable discussion with his sister was soon going take place soon and he sort of dreaded the moment. For now Link tried his best to forget about that moment and enjoy the current moment he had and if anything he had a secret weapon he hoped would work on his dear little sister. He moved to the music, moving as he was taught to and immediately dipped the princess down before bringing her back up. During this maneuver he opened his eyes and stared over at the princess, his eyes widening slightly and his face turning a bit red at how close he was to the princess. Memories of the one kiss they shared in the garden begun to return to his mind and he tried quite hard to prevent himself from turning a redder shade, trying his best to remain as calm as can be. As the two continued to move to the music, Link’s eyes widened slightly once more when Zelda spoke to him about wanting to show him something. Quite curious of just what the princess had to show him, the young knight could only give her a nod. As the song had slowly come to its end, Zelda and Link seemed to slow down their sways to a stop, standing there as she simply stared up at him as the audience began to clap. Her heart was beating so vigorously, she felt like everyone around her could hear it, despite the thunderous applause. There was only one key part left to the ceremony - the official blessing/knighthood of Link. "Follow me," she murmured quietly as she lead him toward the throne. As soon as she had made her way to the large chair, she had pulled up her lyre from its resting place, turning back to her hero and to the people sitting at the tables. "We will now witness the official knighthood of Link, hero of Hyrule!" a guard shouted as several knights that were lined across the room immediately bowed to solute, pressing their hands over their hearts. Lightly, Zelda plucked the first few notes of the Ballad of the Goddess, before setting the lyre down and smiling at Link, holding her hand out for him to hold as he knelt in honor. "Valiant Hero... in these darker times, I often wondered if how far we'd search until you appeared. It was a blessing in disguise to know you were so much closer than originally thought," she nodded. "I've learned so much about you and have watched you grow and improve as a knight. I'm so grateful to have a friend as close as you, and I will gladly fight by your side. With the power invested in my holy ancestry, I bless your spirit with the wisdom, power, and courage needed to defeat the abomination awaiting our future. I dub thee sir Knight Link of Hyrule, Hero of the Sky, Time, and salvation." She set her rapier over his shoulders before returning it to her sides. "You may rise and turn to the Kingdom." The crowds roared again, Zelda setting down the rapier and standing beside Link until the cheering subsided. "The feast and ball shall now commence! You are welcome to rise from your seats and converse with whomever you wish." With the song slowly coming to an end so too did the dance between both Link and Zelda. With the dance having finally come to an end, Link truly wanted to let out a deep and heavy sigh of relief, but he knew it wasn’t time for that just yet. He could only look out to the crowd as he watched them applaud for the two of them, but his eyes widened a bit the very moment the princess suddenly pulled him over towards the throne. With the announcement of his coronation starting, Link stood straight as he watched the princess pick up her lyre and play it. As she came to an end, Link closed his eyes and kneeled down on one knee, lowering his head as he raised his hand and held the girl’s hand with his left and rested his right arm across his chest. He listened to her words and engraved them into his heart. The blade that touched his shoulders held an immense weight for him as if the very hopes and dreams of the entire land were placed in that blade. Whether he was special or not did not matter. All he knew was that he would protect the land and the people that dwelled in it. He raised his head and looked up at the princess with a determined look before he rose to his feet and looked out to the crowd, the determination still remaining upon his face and gave the crowd a nod as they cheered. As the cheering began to subside and with Zelda standing beside him, Link merely looked over at the princess and gave her a smile.